During the last week of February, ARAT member Ahmed Boubaker, and with the assistance of other members prepared 3V8CB station for the » CQWW 160M SSB 2017 « . And for that matter, an inverted L antenna for the 160m band was re-deployed along with its radials and all the necessary equipment. 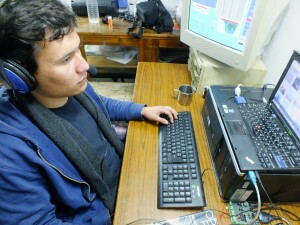 During the weekend (the evening of the 24th, 25th, and 26th of the mentioned month) Ahmed participated in the event lasting 48 hours, marking his first Solo Op. . About 280 QSO’s were made and a score of more 100 000 points was reached.